The Easter Holidays crept us on us again very quickly. 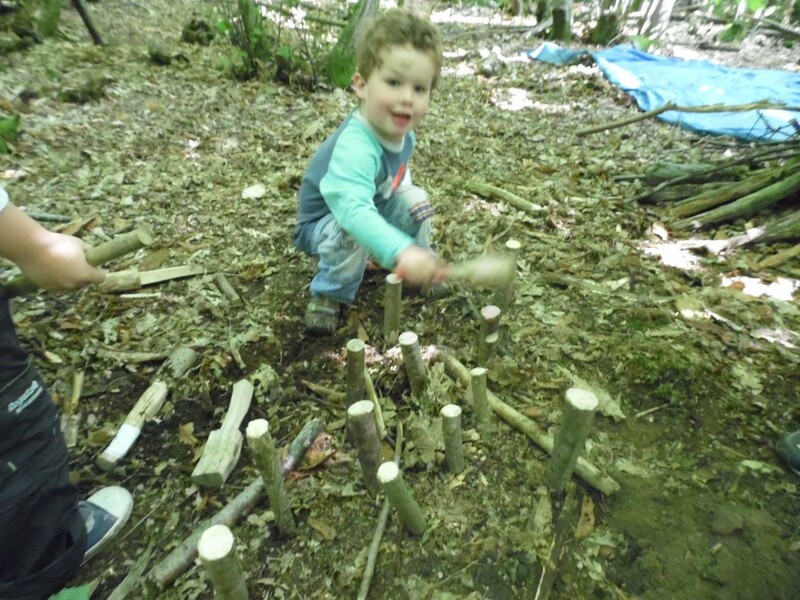 For three days we decided to stay open and run Forest School. We were very lucky to have Kate from ‘The Ashes’ come and run our three days. Kate, Laura, Grace and Alex had a fantastic time in the woods, we were very lucky with the weather. Every day we had up to 15 children aged between 3.5 years – 7 years old. Once again the Royal Oak kindly opened their doors to Little Laura’s for Pancake day. This annual event is a must for us. We are so lucky that we can walk to such a great pub that can accommodate 30 children and/ parents/ our Nursery team. As always their was fresh tea and coffee for adults available and plates of pancakes, oranges, chocolate spread, sugar and honey.